Warning: one look at these unique Airbnb stays will have you planning your next trip right now. Treehouse? Tick. Architecturally designed beach shack? Tick. Eclectically converted machinery shed on a 65-hectare working farm, complete with chickens and wood-fired pizza oven? Triple tick. 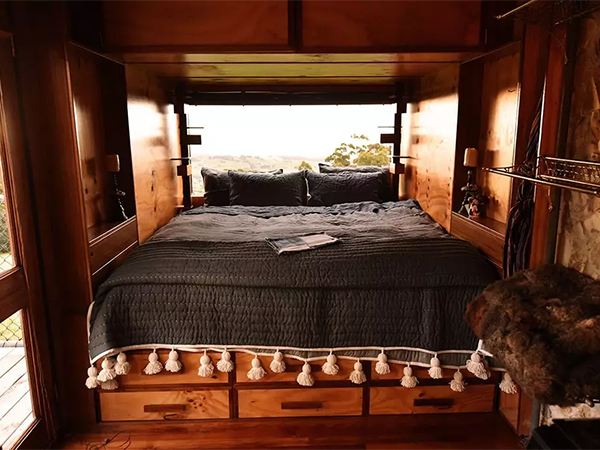 If you can dream of it, it’s probably listed on Airbnb… here is our top pick of unique Airbnb stays around the country. 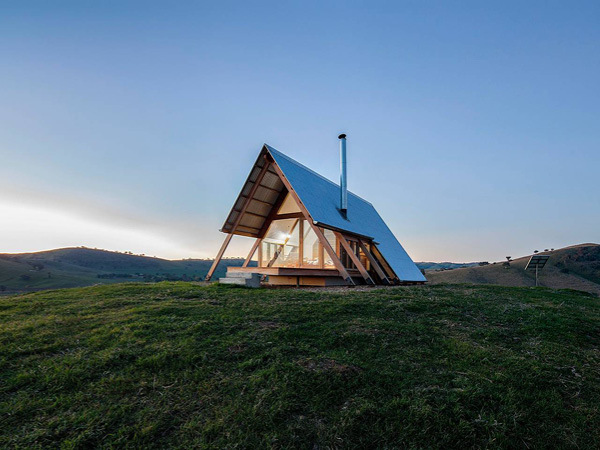 If glamping has a pinnacle, it’s this stunning light-filled, minimalist eco hut located just outside Gundagai in rural New South Wales. This modern abode sits high on a hill with a 360-degree view of the Murrambidgee river flats and the stunning Kimo Valley. 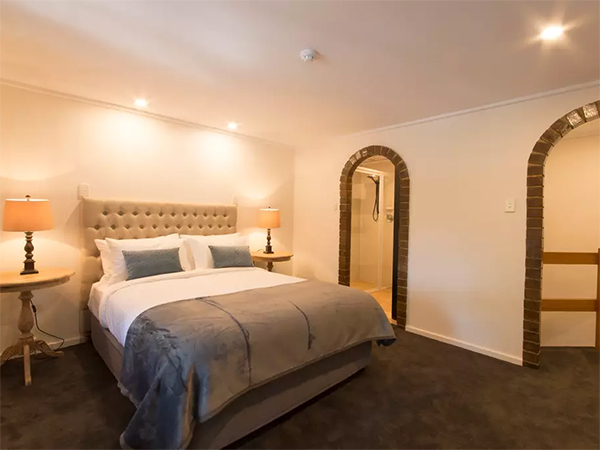 Perfect for couples, or those who just want to get away from it all, it’s a romantic and inspiring excuse to get out of the city (you’ll find it 45 minutes from Wagga Wagga and two hours from Canberra). Made from the best of local timber, steel and galvanised iron, the hut’s architectural design makes it a striking contrast to its natural surroundings. And the charm doesn’t stop there, extending inside. An indoor wood-burning fireplace gives the perfect centrepiece for the evening, allowing you to enjoy a meal and good company. 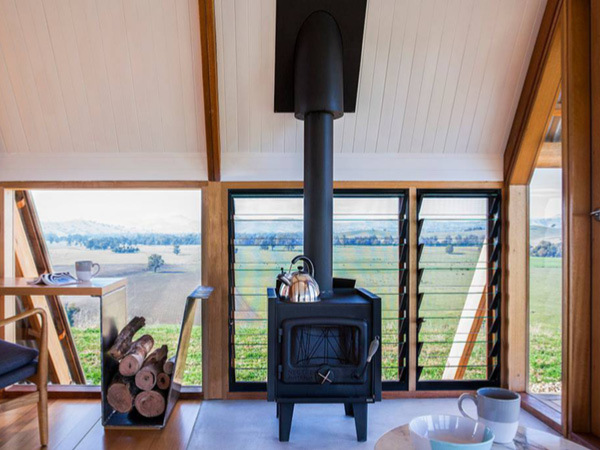 JR’s EcoHut is part of the Kimo Estate – a working 280-hectare farm that also provides luxury accommodation in its cottages and old shearers’ quarters. Be sure to explore the grounds and to take in the sunset. If you’re into truly enchanting, with views as far as the eye can see, then this is the Airbnb for you. The Enchanted (clifftop) Cave is built onto a natural rock platform in the heart of the Blue Mountains, ready for you to enjoy the ultimate secluded experience. Opening from a small, round wooden door – straight out of Hobbiton – an illuminated sun room awaits. The space is fitted with an indoor wood-burning fireplace and spa overlooking the vast World Heritage-listed national park. In the summer, enjoy the swimming season with a dip in pristine waters just walking distance from the cave. And in the winter? Cosy up with mulled wine for a romantic evening by the fire. Year round, this is the ultimate spot to take in nature’s wonder. This Airbnb sits aboard your own personal luxury yacht, giving you a show-stopping view of the Harbour Bridge, Luna Park and Sydney Opera House. Boarding the boat on day one, you can choose to dock in Elizabeth Bay or – at an extra cost of $200 – in a more secluded bay by Taronga Zoo, where you’ll be surrounded by national park and can enjoy a swim at the nearby beach. Then take in the stunning view as the sun sets behind the Opera House. The next morning, enjoy breakfast on the water before a personal skipper conducts a private tour of Sydney Harbour (at an extra cost of $100-$200), taking in the Opera House, Harbour Bridge and the exclusive homes of the Eastern Suburbs. Whether you’re a local or an out-of-towner, this exclusive harbour experience is one for the Sydney bucket list. Take off among the trees for a mountain bike ride or hike before returning to the charming treehouse for a glass of wine by the fire. Then enjoy a relaxing soak in the tree-top spa, or sit under the stars for a rare view of stunning meteor showers. For lovers of both water and land, this little beachside oasis really packs a punch. Perfectly positioned, you’ll wake up in the Little Black Shack to the sun rising over Palm Beach headland. Thought it couldn’t get any better? Located just metres from the water, you’ll have all the opportunities in the world to swim, kayak and snorkel in the pristine waters, before returning to relax in the hammock hanging from a large frangipani tree. There’s also plenty of opportunity to entertain, with access to the outdoor hand-built sandstone kitchen with a wood-fired oven and charcoal barbecue at your fingertips. Perfect for spending all day and night in the fresh, salty air. The Shed at Broger’s End is indeed just that, a shed. This former farm machinery shed has been transformed using recycled materials to create an enchanting, rustic space, perfect for groups. Situated right on the Kangaroo River, this spot is begging for guests to lap up the fresh air and make use of the easy swimming access. The Shed is located in a tranquil area of Kangaroo Valley with town still close enough to visit for dinner, shopping and museums (a five- to 10-minute drive away). Entertain your loved ones in the New South Wales bush with a fully equipped outdoor kitchen and dining space, barbecue and pizza oven. This luxury yacht may not be nestled in the Sydney Harbour, but it’s definitely equipped with enough bells and whistles to compete. Named Crystal Blue, this accommodation offering is an opulent 24-metre yacht on the Gold Coast, sleeping eight and chartering up to 60 passengers during the day. Prepare to pinch yourself as you depart Marina Mirage on the Gold Coast and take the five-star luxury cruise to Broadwater for an overnight stay. Every bedroom has its own private en suite with toilet, shower, vanity basin, individual climate control and towel warmers – because you deserve it. Your private skipper will brief you on the best sunsets and scenic locations to drop anchor for the evening. Kick back, relax and remember this is not a dream. This is real life. A night in this secluded beach retreat is enough to make you give city life the flick. Set on the stunning Mt. Camel Beach, a 100-hectare oceanfront heritage property on the Eyre Peninsula whose owners are committed to its conservation, guests can experience absolute privacy while immersed in panoramic coastal wilderness. The architecturally designed box house is inspired by the classic fisherman’s shack – but with extra class. You’ll find this luxurious off-grid property is a seven-hour drive from Adelaide, nestled right where the desert meets the sea. 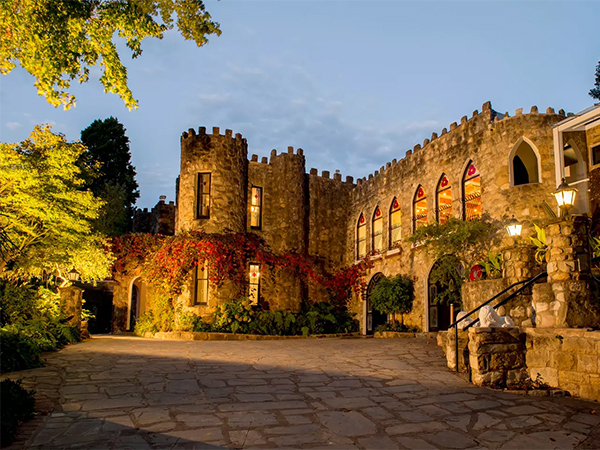 Feel like you’ve been transported out of Australia and into a fairy tale when you stay at this picturesque castle in the Adelaide Hills. Each room is townhouse-style with sleeping, living and kitchen areas. There’s also an option to leave the comfort of your room and enjoy a platter of local produce on the terrace or in the gardens. Basket Range is a small town nestled in a scenic part of Adelaide not far from some of the best pubs and wineries in the state. Sip on local wine while enjoying the incredible view of your semi-private castle and hillside – you’ll forget that you’re even in Australia. This Alice Springs accommodation is located on the edge of the Western MacDonnell Ranges, just 15 kilometres from town. A one-of-a-kind luxury camping experience, it’s available during the cooler months of March to October. Squeakywindmill is close to the walking trails of the Ilparpa Claypans, a short bike ride away from Simpsons Gap and also an ideal place to commence or complete your walk along the Larapinta Trail. Enjoy the peaceful outback surrounds from the front deck of your luxury tent, complete with a platter of produce and local wine. Located just minutes from the centre of Hobart’s major cultural and gastronomic attractions, this multi-award winning barn conversion is definitely a showstopper. As architects, owners Liz and Alex have approached the space with authenticity and integrity. The aim has always been to keep as much of the (incredibly beautiful and richly textured) existing building fabric as possible. Original sandstone walls are left exposed both internally and externally and the timber shingled roof and existing beams contrast with the new kitchen and bathroom insertion. All prices listed exclude Airbnb cleaning and service fees. Looking for something a bit more eco-luxe? Stay at the Container in Lilydale and soak in an incredible view from the comfort of a renovated shipping container. Staying in a container may not sound very cosy, but these interiors say otherwise. 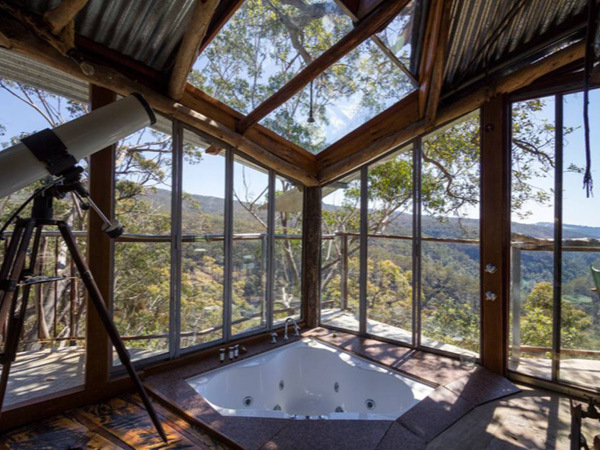 As a 2016 finalist in the Tasmanian Tourism Awards, this unique accommodation has creatively repurposed the space into a luxury eco-hut atop the Tasmanian hillside. Wander the grounds covered in sheep, chooks, 500 peony flowers, waratahs and pepperberries, where you can take a stroll and collect fresh eggs. Then head out for a day at the vineyards and come home to a stunning rural view and cosy fire. Melbourne is known for eclectic shopping and gastronomic experiences, making it the perfect spot for unique accommodation such as a newly renovated, modern stable. 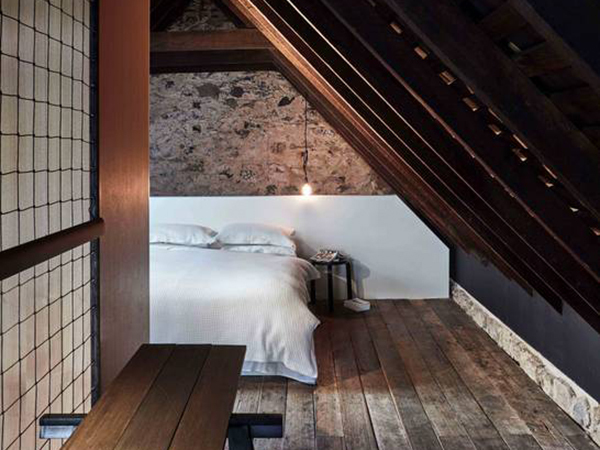 Located down a cobblestone laneway in Carlton, this converted stable that dates back to the 1800s is something of an unexpected surprise. The owners have stayed true to the stunning, aged brick exterior while providing a modern living experience. Carlton is known for its Little Italy scene, with Lygon Street lined with old-school eateries and casual pizzerias. This neighbourhood makes for a special experience when visiting Melbourne that’s close enough to the CBD while still feeling ‘local’. 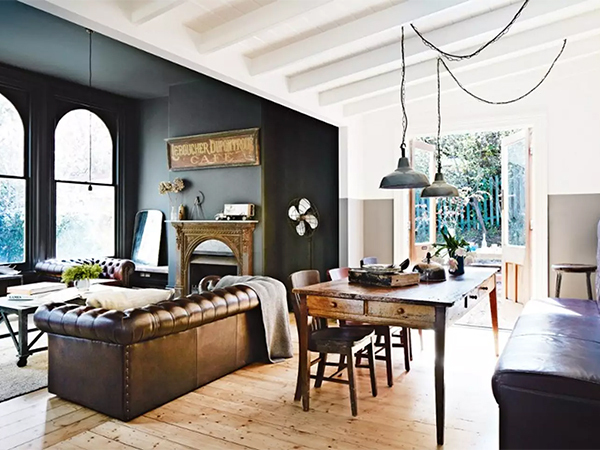 Go back in time with this classically vintage Australian home. Upgraded for modern living, this space is perfect for large groups to unwind and feel right at home. The indoor fire and open kitchen make for a cosy oasis for family and friends to gather and enjoy a weekend together. You will be the only guests on the half-hectare property, surrounded by endless stunning bushland. Walk to Daylesford centre or Hepburn Springs and enjoy views of Wombat State Forest and Doctors Gully. If you’re happy to stay right at home, fruit trees cover the outside area where you can enjoy a large outdoor fire pit and table, perfect for entertaining. What better way to experience Perth than in the heart of the city? 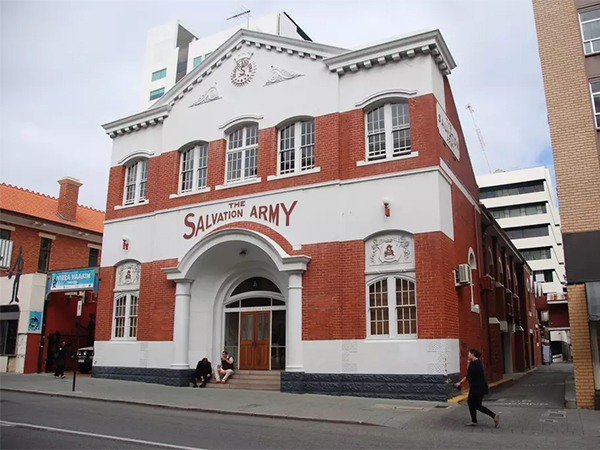 This old Salvation Army building has been recently renovated into a warehouse-style heritage home perfect for large group stays. The historical building opened in 1899 to bring comfort to those in need, and now has been converted into a cosy three-storey townhouse. Sleeping up to six, it’s the perfect unique space to enjoy with friends and family, especially in the private internal courtyard where cascades of falling ivy have created an escape from the bustling city. You can then step outside and be immersed in the centre of the city and everything Perth has to offer. Built in 1914, this vintage cottage makes for the perfect farm stay in the WA countryside. Get a glimpse into life in the Perth Hills with charming accommodation and luxury amenities. This cottage has all the best country favourites, from the homey interiors to the stunning view. The cottage’s location provides wonderful views and access to the Bickley Valley wine region. Relax and unwind in this one-of-a-kind country escape.